The devastation from Hurricane Harvey has been described as a 1,000-year event, unprecedented in scale, and devastation from Hurricane Irma has also been described as catastrophic. With the eye of the storms hitting hard in Texas and Florida, major flooding has also been reported in Georgia and South Carolina. Regulatory agencies have issued a series of announcements providing relief from certain filing requirements and information on federal assistance applicable to those impacted by these events; we have highlighted some of the announcements below. Given the proliferation of regulations to be followed, the announcements are likely to provide welcome relief as those impacted by the hurricanes and related flooding focus on rebuilding homes, offices, schools and other infrastructure. Our thoughts are with the staffs, members and families at the Texas Society of Certified Public Accountants, the Florida Institute of CPAs, the Georgia Society of CPAs, the South Carolina Association of CPA, chapters of those state societies, and all others impacted. On September 13, the Securities and Exchange Commission announced it was monitoring the impact of Hurricane Irma on the capital markets and continuing to monitor the impact of Hurricane Harvey, following on its August 30 release that it was monitoring the impact of Hurricane Harvey. Both releases included telephone and email contact information for affected registrants to contact the SEC’s Division of Corporation Finance, Division of Investment Management, or other divisions as applicable, to request assistance/relief. What we expect: If the SEC’s response to Hurricanes Harvey and Irma follows the pattern established after Hurricane Katrina in 2005 — when the SEC issued an initial release stating it was monitoring the situation and taking individual calls, followed by a release two weeks later containing an exemptive order — we would not be surprised to see another follow-on SEC release, potentially later this week or next week, providing an exemptive order pertaining to certain filings covering a particular period of time for flood and hurricane victims in specified areas. We will update this post to include any subsequent SEC announcements. Relief programs offered by the IRS to victims in the disaster areas include certain penalty relief and extensions of certain filing deadlines. See Tax relief in disaster situations, Help for victims of Hurricane Harvey and Help for victims of Hurricane Irma. Also of note: One program is applicable to those who are outside the impacted areas but wish to help: Special relief designed to support leave-based donation programs to aid victims of Hurricane Harvey. Federal and state banking agencies have issued a statement on supervisory practices regarding financial institutions and borrowers affected by Hurricane Irma. 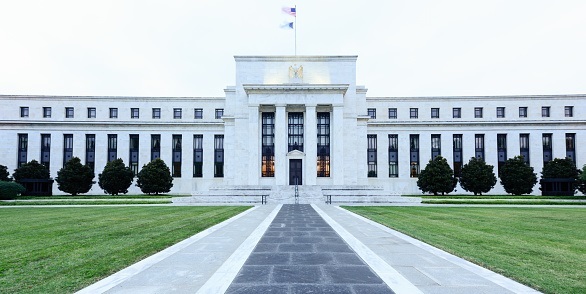 The joint statement is from the Office of the Comptroller of the Currency, the Board of Governors of the Federal Reserve System, the Federal Deposit Insurance Corporation, and the Conference of State Bank Supervisors. FEMA.gov includes links to safety tips, resources, a section on “dispelling rumors,” and other information. Hurricane Harvey assistance — includes tax resources and other information to share. Hurricane Season updates — includes current news updates, links to IRS relief and disaster resources, and general hurricane resources.